“Born Again” Experience or Baptismal Regeneration? Soon after the Berlin Wall came down many American Evangelicals saw Eastern Europe as a mission field ripe for the Gospel. However, they overlooked the fact that Orthodox Christianity had already been there for over a thousand years! Mihai Oara wrote “Conversions and Conversions: Romanians between Orthodoxy and Evangelicalism” which describes how Evangelicals sought to evangelize Eastern European Orthodox. Within this conversion story are certain Evangelical themes: (1) growing up in an empty ritualistic church, (2) hearing the Gospel for the first time, (3) having a life changing “born again” experience, (4) getting baptized to demonstrate this new life, and (5) the pure Gospel versus human traditions. Many Evangelicals oppose the idea of sacramental grace, i.e., that one is born again or spiritually changed through the sacrament of baptism. They believe that baptism is valid only if one has had a genuine born again experience. This leads them to encourage Orthodox converts to get rebaptized. The Evangelicals’ hostility to sacramental baptism and their insistence that their Orthodox converts undergo rebaptism present a serious challenge that requires a response from the Orthodox. Addressing the Evangelical challenge to Orthodox baptism requires answering the following questions: (1) What evidence is there for the Orthodox sacramental understanding of baptism? (2) What evidence is there for the Evangelical born-again experience? And (3) Which approach reflects the historic Christian understanding of baptism? It should be kept in mind that Evangelicalism is a diverse movement within Protestantism. In this article I attempt to speak to the mainstream of modern American Evangelicalism. Does the Orthodox Church teach that we are born again through baptism? The answer is: Yes. This can be found in the prescribed prayers for baptism. From the prayers used in the sacrament of baptism it is clear that the Orthodox Church believes that one is born again through baptism. Here Basil understands “born again” in the sense of one life ending (life under the pagan gods) and another life beginning (life under Christ). Cyril of Jerusalem (c. 313 – 386) in his Catechetical Lectures referred to baptism as the “laver of regeneration” (Lecture 18.32) and closes the lecture with an extended quote from Titus 3 and Ephesians 1 in which baptism is referred to as the “washing of regeneration.” In Lecture 17.35 Cyril makes reference to the “season of baptism” – Holy Week preceding Easter Sunday – when the baptismal candidates would appear before the clergy: bishops, priests, and deacons. Jerusalem then was a major pilgrimage center for Christians. The practice of the clergy – bishop, priest, and deacon – administering baptism is also found in Tertullian’s On Baptism (§17). Ignatius of Antioch pointed out that baptism required the consent of the bishop (Smyrnaeans §8). Thus, the consensus of early Christians supports baptismal regeneration. In early Christianity baptism is understood as the beginning of a new life in Christ, i.e., being regenerated or “born anew.” There is no evidence of salvation in Christ being separated from the sacrament of baptism or salvation being defined in terms of just a spiritual experience. The Greek word for “regeneration” (παλιγγενεσια, palinggenesia) appears only two times in the New Testament: Matthew 19:28 and Titus 3:5. In Matthew 19:28 “regeneration” (παλιγγενεσια) refers to the renewal of creation at Christ’s second coming. This parallels Peter’s proclamation of the eschatological renewal of creation in Acts 3:21 and the promise of a new heaven and a new earth in Revelation 21:1. But when the kindness and love of God our Savior appeared, he saved us, not because of righteous things we had done, but because of his mercy. He saved us through the washing of rebirth (διὰ λουτροῦ παλιγγενεσίας) and renewal by the Holy Spirit, whom he poured out on us generously through Jesus Christ our Savior, so that, having been justified by his grace, we might become heirs having the hope of eternal life (Emphasis added; NIV). Here baptismal regeneration is linked to the bestowing of the Holy Spirit in the sacrament of chrismation. In baptism we are joined to Christ thereby acquiring the status of adopted children of God; in chrismation our spirit is renewed through our receiving the Holy Spirit. This baptism/chrismation pairing was the common practice of the early Church. The Orthodox Church still retains this pairing, the Latin Church separated confirmation from baptism sometime after the seventh century (Louth p. 184). The question for us is does John 3 teach baptismal regeneration or the Evangelical born again experience? The Greek here is “γεννεθη ανωθεν” (gennethe anothen) which has been translated “born from above” or “born again.” This ambiguity is because the Greek “ανωθεν“(anothen) can be translated either “above” or “again.” In Galatians 4:9, Paul uses the word “ανωθεν” in the sense of “again”; he asks the Galatians if they wanted to serve their former deities again. So while the English rendering “born again” is not a strict literal translation of the Greek, it conveys the underlying meaning adequately and agrees with the sense of the conversation between Jesus and Nicodemus. The key exegetical question for John 3:5-8 is what “born of water” and “born of Spirit” mean. One way to read John 3 is in terms of the sacraments of baptism (born of water) and chrismation (born of the Spirit). One of the reasons why we need take seriously the possibility of the connection between “born of water” with water baptism is the fact that Jesus’ conversation with Nicodemus in the first half of John 3 is immediately followed by the story in the second half of John 3 where it is emphasized that both John the Baptist and Jesus were baptizing where there was “plenty of water” (John 3:22-26). Roman Catholic scholar Raymond Brown notes that in light of the Old Testament “born of the Spirit” could be understood covenantally (1966:139). He points to passages where the nation of Israel was referred to God’s first born child (Exodus 4:22, Deuteronomy 32:6, and Hosea 11:1; see also Isaiah 63:8, 64:8). Unlike pagan mythology which viewed the king as a direct offspring of the gods, the Israelites saw the monarch’s sonship in terms of the anointing that made a man a king (Brown p. 139; 2 Samuel 7:14, Psalms 2:7 and 89:27). Thus, as an educated Jew Nicodemus would have been well aware of the promise of the eschatological outpouring of the Holy Spirit. We find this promise fulfilled in Jesus’ post-resurrection appearances where he calls the disciples his brothers and breathes on them bestowing the Holy Spirit (John 20:17, 22; Brown 1966:140). This suggests that the Christian sacrament of chrismation has roots going back to the Old Testament. Evangelical scholar Leon Morris noted that the Christians of John’s time would naturally have associated John 3:5 with the sacrament of baptism but then notes that Nicodemus could in no way have understood it that way as well (p. 217). For Morris rebirth by water and Spirit simply meant a new existence as a result of divine activity: “Jesus is referring to the miracle which takes place when the divine activity re-makes a man. He is born all over again by the very Spirit of God.” (p. 218) This spiritual reading of John 3 goes back to Calvin for whom real water was not necessarily involved as “water” referred to the purifying action of the Spirit. Calvin in his commentary on John 3 wrote: “By water, therefore, is meant nothing more than the inward purification and invigoration which is produced by the Holy Spirit.” (Emphasis added.) This dichotomy can also be seen in the Baptist New Testament scholar G.R. Beasley-Murray’s Baptism in the New Testament (1962) in which he was willing to recognize the efficacy of the Holy Spirit but not the rite of baptism (p. 230). This non-sacramental understanding opens the door to a vague and subjective understanding of the Holy Spirit. Its implicit Gnosticism is rather unlikely given the Apostle John’s struggle against the early Gnostic heresy which stressed the spiritual over bodily reality. Early Christians’ sacramentalism which understood divine grace, i.e., the Holy Spirit, to be at work in the physical matter, e.g., water (John 3:5), bread (John 6:48-53), mud (John 9:15), would have presented an effective deterrence against the Gnostic heresy. Leon Morris disputes the sacramental reading of John 3 pointing out that the Christian sacrament of baptism was “non-existent” at the time of Nicodemus’ visit with Jesus (pp. 217-218). While that may be true in the strict sense, all the elements are also present in the story: (1) the inquirer (Nicodemus), (2) the catechist (Jesus), (3) the sacrament of baptism (water baptism by Jesus’ disciples), and (4) the sacrament of chrismation (the work of the Spirit). A careful reading of Tertullian’s description of baptism shows that he does not hold to a symbolic view of baptism like today’s Evangelicals. We see here Tertullian understanding baptism as spiritually efficacious. He does not present baptism as just a symbol as modern day Evangelicals would. As a matter of fact he boldly affirms a sacramental understanding of baptism – physical matter capable of conferring divine grace. In the early baptismal rites it was the practice for the priest to pray over and bless the water to be used for baptism. Tertullian explains the blessing of the baptismal waters of this drawing on Genesis 1 which recounts the Holy Spirit hovering over the primeval waters. This twofold sacrament of baptism/chrismation agrees with Jesus’ disciples administering water baptism in John 3:22 and John the Baptist’s announcement that as the Messiah Jesus administers the Spirit baptism (John 1:33, Matthew 11, Mark 1:8. Luke 3:16, Acts 1:5). The baptism/chrismation pairing is alluded to in Acts 2:38, 19:5-6, Romans 5:1-5, Ephesians 1:13-14, and Titus 3:4-7. Many Evangelicals understand baptism as “an outward sign of an inward grace.” For them salvation is in the experience of inward grace, not in the baptismal rite. The value of baptism lies in it showing the world that something has happened inside the believer. The Evangelical rejection of the sacramental understanding of baptism is based on a false dichotomy of baptism as magical rite versus baptism as purely symbolic. This reluctance to attribute efficacy to the baptismal rite resembles early Gnosticism’s spirit-matter dichotomy. 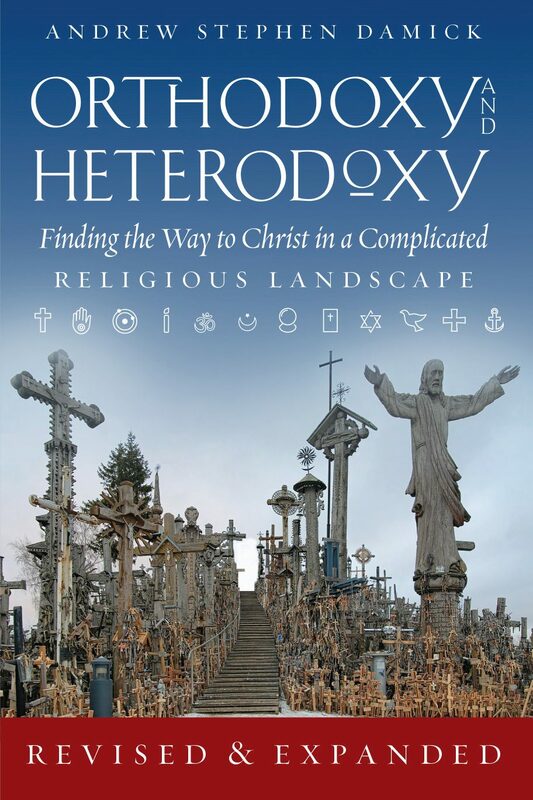 Where Evangelicalism takes an either-or approach to the sacraments (opposing the physical elements against divine grace), Orthodoxy takes a both-and approach that views the physical elements as capable of conveying divine grace. Orthodoxy’s sacramental worldview is rooted in the mystery of the Incarnation in which the eternal Word of God became flesh. This outward versus inward dichotomy can be bridged with the Reformed teaching on baptism as a covenant rite. One valuable contribution the Reformed tradition made to Christian theology is the highlighting of the biblical concept of covenant. It can serve as a bridge between Evangelicalism’s insistence on faith as a subjective experience and the historic understanding of baptism as efficacious sacrament. New life in Christ can be understood as a change in covenant affiliation: from living under Satan’s rule to living under Christ’s lordship. Conversion can be understood as a change from life apart from Christ to life in Christ. If faith is present then baptism is more than a ritual; it is a moment of personal encounter with Christ. The Reformed tradition’s Second Helvetic Confession, Chapter 20 “Of Holy Baptism” defines baptismal regeneration in covenantal terms. Now to be baptized in the name of Christ is to be enrolled, entered, and received into the covenant and family, and so into the inheritance of the sons of God; yes, and in this life to be called after the name of God; that is to say, to be called a son of God; to be cleansed also from the filthiness of sins, and to be granted the manifold grace of God, in order to lead a new and innocent life (Book of Confessions p. 100; emphasis added). Another major Reformed confession, the Westminster Confession, Chapter 30 “Of Baptism” defines baptismal regeneration in covenantal terms. Baptism is a sacrament of the New Testament, ordained by Jesus Christ, not only for the solemn admission of the party baptized into the visible Church, but also to be unto him a sign and seal of the covenant of grace, of his ingrafting into Christ, of regeneration, of remission of sins, and of his giving up unto God, through Jesus Christ, to walk in newness of life: which sacrament is, by Christ’s own appointment, to be continued in his church until the end of the world (Book of Confessions pp. 154-155; emphasis added). Dost thou renounce Satan, and all his Angels, and all his works, and all his service, and all his pride? Hast thou united thyself unto Christ? All four of these questions are asked three times and must be answered three times. This threefold repetition is a way of showing that the baptism is not a spontaneous whim but a serious commitment. In the case of a child, the godfather or godmother will answer for him (her); this sponsor is also responsible for the child’s spiritual growth and wellbeing. The assumption is that the child will be brought up in the Christian faith and one day will claim it as their own. John could have used the word “dynamis” (from which we get “dynamite”) which means power or force, but instead he chose to use the word “exousia” which means authority. The word “authority” suggests that faith in Christ result in our being adopted into God’s family, that is, covenantal adoption. That a change in status is involved is supported by the Evangelical scholar Leon Morris (p. 98, Note 72). Roman Catholic scholar Raymond Brown was reluctant to understand “exousia” in semi-judicial terms (p. 11), but was open to understanding sonship in covenantal terms. John 1:12 can be understood both covenantally and sacramentally. Becoming a child of God means being adopted into God’s family, i.e., entering into a covenant with God. 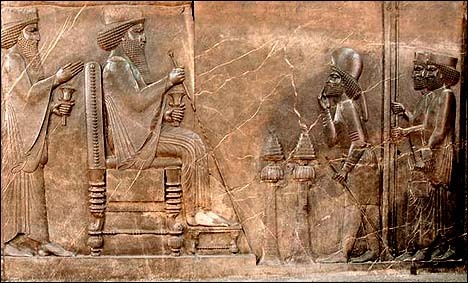 In ancient times the suzerain invited people to enter into a covenant with him, that is, to receive him as their king and to become part of his household. What John does in his Gospel is reframe covenant relationship in terms of uniting one’s self with the incarnate Son of God. The radical element in John’s theology is God’s giving the Spirit to men as when the risen Christ breathed on his disciples. In the post-resurrection accounts the conferring divine sonship can be seen in Christ’s referring to the disciples as his brothers and his telling them that his Father is now their Father (John 20:21-22). The conferring of the Holy Spirit not only fulfills the Old Testament prophecies of the coming Messianic Age, it also fulfills Jesus’ teaching about the coming life in the Trinity in John 14 to 17. In Romans 6 and 7 Paul uses language that alludes to regeneration: being dead then being made alive, and burial and resurrection. Here Paul frames baptism within the context of authority relations. He talks about not letting sin “reign in your mortal body” (Romans 6:11-13). The Greek word for “reign” is “βασιλευετω” (basileueto) which has the same Greek root for “king” “βασιλευ” (basileus). This covenant framework was reflected In the way baptism was done in the early Church, especially in vows leading to a change in loyalties from the pagan gods to Jesus Christ the risen Lord. Paul presents baptism as rescue from slavery. This is consistent with the Christus Victor motif which presents humanity as in captivity to the Devil until Christ came to rescue us. Baptism is much like the switching of citizenship from one country to another. In Romans 7 Paul explains baptism using the analogy of the death of a spouse which brings about the termination of a marriage contract. Upon being released from her marital commitments the woman is free to live a new life. This analogy is intended especially for his Jewish audience who made the transition from the old covenant under Moses to the new covenant under Christ. The death Paul is writing about here is not so much a biological death but a legal/covenantal death. It is a lot like the owner of the store deeply in debt who agrees to an M&A (merger and acquisition) with a major corporation. After the M&A his store ceases to exist as independent entity, all assets and liabilities become part of the new owner. The good news is that new Owner assumes responsibility for the old debts and the “bad” news is that the former owner is now answerable to the new Boss, Jesus Christ. However, a change of legal status is not enough, we also need a new life within us. In the early Church and in the Orthodox Church today becoming a Christian involves two sacraments: baptism and chrismation. This new life comes through the Holy Spirit. In Romans 5:5 Paul notes that “God has poured out his love into our hearts by the Holy Spirit, whom he has given us.” (NIV) In Romans 8 Paul explains how having the Holy Spirit indwelling us enables us to live in accordance to the law of Christ. The theme of baptismal regeneration can be found in Colossians 2:11-13. In him you were also circumcised, in the putting off of the sinful nature (flesh), not with the circumcision by the hands of men but with the circumcision done by Christ, having been buried with him in baptism and raised with him through your faith in the power of God, who raised him from the dead. Here we find Paul explaining the meaning of baptism not in terms of a subjective experience but in terms of being joined to Christ’s death and resurrection. The covenantal understanding of baptism can be seen in Paul’s equating Christian baptism to Jewish circumcision. Under the Mosaic covenant one became a Jew through circumcision but under the new covenant of Christ one becomes a Christian through baptism. While there is a symbolic element in baptism, Evangelicals have emphasized it to the point they have in effect excluded the sacramental and covenantal aspects. Evangelicalism’s doctrine of the born again experience is the result of a trajectory of doctrinal evolution from the Protestant Reformation in the 1500s to English Puritanism in the 1600s to the American revivals in the early 1800s. Historically, Christians accepted the teaching of baptismal regeneration. For them there was no hard and fast distinction between regeneration, justification, and sanctification. This is much like the way the Apostle Paul conflated baptism with justification and sanctification in 1 Corinthians 6:11. The essential feature of the Reformation doctrine of justification is that a deliberate and systematic distinction is made between justification and regeneration (Vol. 1, p. 186; emphasis in original). The significance of the Protestant distinction between iustificatio and regeneratio is that a fundamental discontinuity has been introduced into the western theological tradition where none had existed before (Vol. 1, p. 184; emphasis in original). Luther’s doctrine of sola fide was based on justification being separate from sanctification and regeneration. While Luther continued to hold to the doctrine of baptismal regeneration, this alteration of the traditional order of salvation would in time open the way to new understandings of Christian salvation. The nature of the Puritan conversion experience can be expressed rather simply. It is a profound, overwhelming, totally transforming experience in which a person believes he has experienced death and rebirth through the powerful working of the Spirit of God (Brauer 1978:230). The Puritan emphasis on conversion as subjective experience gave rise to personal testimonies that pinpointed the date and even the hour of the moment of conversion (Brauer 1978:241). The Puritans changed justification into a multi-step process that took place over time. Their high view of the church led them to situate conversion within the church under the supervision of the minister. Under the later revivals conversion became instantaneous and independent of the church and its pastoral leadership. The early Puritans emphasized the conversion experience as a means to further the reform of the church. But for the later revivalists the conversion experience was an end in itself. The conversion experience became the bedrock on which the church was built; not having this experience disqualified one from church membership and even from the ministerial office (Brauer 1978:236-238). This was an unprecedented extreme unknown to historic Christianity. Such was the importance of the born again experience that it became the touchstone for Evangelical spirituality and theology. Historic modes of thought developed by centuries of Christian history, both symbols and discursive thought patterns, were subsumed under the centrality of the conversion experience. It became the touchstone in terms of which all doctrines, traditions, offices, and institutions were to be tested. This represented a further shift in goal from concern for the covenantal community with its modes of thought and action and from the holy commonwealth, to a primary concern for the individual’s conversion (Brauer 1978:242). The born again experience was not central to the original Protestant Reformation led by Luther and Calvin (Brauer 1978:234). The English Puritans affirmed Luther’s doctrine of sola fide but applied it subjectively. The Puritans’ emphasis on the personal appropriation of justification, i.e., conversion as subjective experience, marked a break from classical Protestantism.
. . . Puritans emphasized the personal appropriation of justification more than its givenness. Under the onslaught of doubt, Luther could say, I have been baptized, and Calvin could rest in the mystery of God’s mercy through eternal election, but the Puritan rehearsed the personal experience of conversion. Thus the stress on the personal appropriation of salvation tended to outweigh the classical Reformation’s emphasis on the givenness, the objectivity of God’s action in salvation. This, rather than predestination, was the center of Puritan experience and theology (Brauer 1978:234). If it is viewed from the perspective of the magisterial reformation worked out by Luther and Calvin, Puritanism can be seen as a gradual subjectivizing of the Reformation faith. On the other hand, if it is viewed from the perspective of the Great Awakening and subsequent Revivalism, Puritanism is understood as a much more objective, less individualistically oriented movement (1978:240; emphasis added). The New England Puritans’ subjective understanding of converting grace was what lay behind the Half-Way Covenant controversy in the late 1600s and the Great Awakenings in the early 1700s. Then in the 1800s when people began migrating over the Appalachians into frontier areas they became free from the supervision of the trained clergy a situation which allowed for new doctrines and spiritualities. It was in the frontier revivals that “mourners bench” was invented that would in time evolve into the “altar call” so widely associated with Evangelicals and the Baptists. The revivals and the “anxious bench” were designed to create a conversion experience among those in attendance. Revivalist Charles Finney‘s popular New Measures, e.g., the “anxious bench” influenced many Reformed churches that Mercersburg theologian John Williamson Nevin was provoked to write The Anxious Bench as a rebuttal and as an apologia for the catechumenate (See Borneman). With the rising prominence of the “born again” experience came a denigration of sacramental baptism. Baptism came to be seen as an outward sign of this experience but not integral to this experience of grace. The priority given to this inward experience rendered outward acts like baptism secondary at best or superfluous at worst. This low view of baptism would have been shocking in the early Church but it explains the hostility modern day Evangelicals display to Orthodox baptism. Orthodoxy takes issue with the presumptuous certainty with which Evangelicals say that they are going to heaven or that someone they know is already in heaven. With respect to the eternal destiny of individuals the proper Orthodox answer is: It’s a mystery. We trust in God’s great mercy and we have confidence in Christ’s power to save us. To believe in Christ is follow him, follow his teachings, join one’s self to Christ, and become part of his body, the Church. Being a Christian is not easy for it means denying one’s self and taking up one’s cross daily (Luke 9:22). What matters is not so much the spiritual “born again” experience (as beneficial it may be) but faithful obedience to Christ all the days of our life. To put it another way, one can have a genuine faith encounter with Jesus Christ of what Evangelicals call the “born again” experience; this marks the beginning of a life of faith and discipleship in the context of the Church. In the Gospels are numerous cautions against presumption of salvation. John the Baptist warned the Jews that being born a Jew would not guarantee their salvation (Luke 3:8). Jesus warned that the Pharisees’ zealousness in keeping the Law of Moses was not enough to get one into heaven (Matthew 5:20). He also warned that those doing signs and wonders could end up in hell (Matthew 7:21-23). One of the most direct teachings on the question of who gets into heaven is found in Jesus’ teaching on salvation being like a narrow door that only a few will enter (Luke 13:22-30). In 2 Timothy 2:11-13 Paul reminds Timothy of his rebirth through baptism, the call to discipleship, and a warning against abandoning the faith. he will also disown us. For Paul salvation is not something he already has in his pocket, it is something he is moving towards. It is a “goal” and a “prize.” This is so different from Evangelicalism’s easy believism where people are taught with a short prayer they are guaranteed to get into heaven and there is nothing left to do but to wait for the Rapture. Bible study support groups or sermons on practical Christian living or missions trip while good do not affect one’s getting into heaven. This attitude is reinforced by the “once saved, always saved” doctrine held by many Evangelicals. Orthodoxy’s sacrament of baptism being rooted in Scripture and the Tradition of the early Church cannot be considered “mere human tradition.” The Orthodox understanding of baptismal regeneration reflects the historic understanding of baptism. Evangelicalism’s individualistic subjective understanding of baptism because it is recent is at odds with historic Christianity. 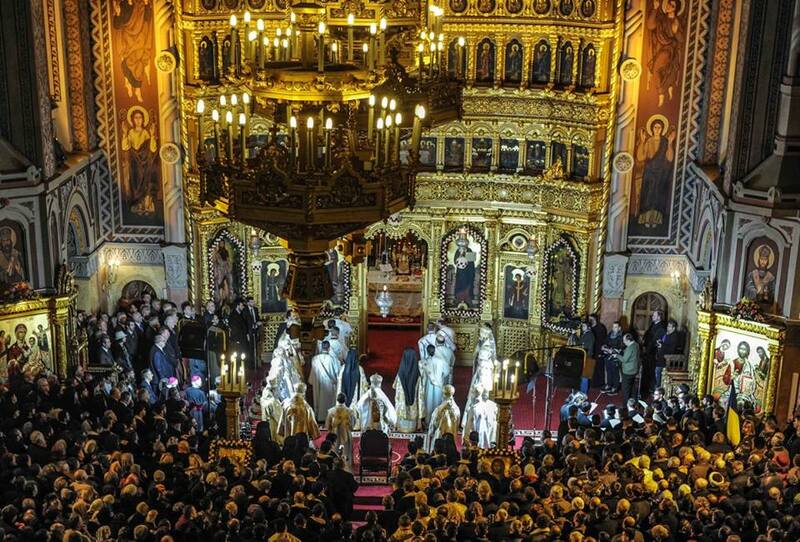 Many nominal Orthodox Christians are unaware of Orthodoxy’s ancient spiritual heritage. These spiritual treasures are there to be reclaimed by the Orthodox and shared with others. Orthodoxy does not object to spiritual experience but it does object to the way Evangelicalism has made the born again experience foundational to being a Christian and the way it delinks the born again experience from the sacrament of baptism. Anyone who doubts Orthodoxy’s openness to spiritual experience is encouraged to read Gregory of Palamas and Symeon the New Theologian. Should an Orthodox Christian seek rebaptism if after years of sporadic attendance and spiritual indifference they come to a renewed faith? If baptism is a sacrament as taught by the Orthodox Church then the answer is: No. For an Orthodox Christian to seek rebaptism is a serious sin. It is wrong because it entails a rejection of the Church’s teaching on baptism. Also, the Nicene Creed teaches that we recognize “one baptism for the remission of sins.” Baptism is an unrepeatable sacrament, once done it can never be repeated. An Orthodox Christian seeking rebaptism would be like an American teenager telling his parents that although he grew up in America he doesn’t really feel American and for that reason he is seeking to become a naturalized American citizen. One can only imagine the look of surprise and incredulity on his parents’ faces. Plus the feelings of being hurt and insulted. Then the perplexity because this idea has no legal basis. The only way for the mixed up teenager to make this harebrained idea work would be to emigrate to another country, renounce his American citizenship, acquire citizenship in another country, then apply for US citizenship (providing the Dept. of Immigration and Naturalization Service approves the application for citizenship). Similarly, for an Orthodox Christian to seek rebaptism at an Evangelical congregation would involve the repudiation of the Orthodox Church, abandoning Orthodoxy, and becoming a Protestant. Taking part in a sacrament of a non-Orthodox church is grounds for excommunication; it is a serious sin. One cannot receive Communion in an Orthodox church unless one has first gone to confession with an Orthodox priest, confessed the sin and renounced the errors of Protestantism. Evangelicalism’s “born again” experience is a lot like a guy telling a girl: “I love you and I want to spend the rest of my life with you!” The girl should respond with: “Are you proposing to marry me?” Orthodox baptism is like the wedding ceremony where the man and the woman make vows with profound consequences – they become “one flesh.” (cf. 1 Corinthians 6:15-17) So while Evangelicals may be sincere in their attempts to reach out to Orthodox Christians, their teachings that Orthodox baptism is not valid or that Orthodox Christians are not truly born again are attacks on Orthodoxy. They are seeking to replace the ancient Faith with one that is new and that separates people from the Orthodox Church. What is happening, however, is that nominal Orthodox Christians are becoming more devout and starting to attend church services and participate in the sacraments. Every time I visited Romania I found churches full at the main services, sometimes with crowds overflowing outside. A lot of new churches and monasteries are being built, so many that I have recently read an article in a British newspaper which was complaining that while Romanians are among the poorest in the European Union, they paradoxically spend too much of their money on building churches. Orthodoxy needs revival! In Romania, in America and everywhere else. Lord have mercy! Beasley-Murray, G.W. Baptism in the New Testament. William B. Eerdmans Publishing Company. Borneman, Adam S. N.d. “The Enduring Legacy of Mercersburg: A Brief Introduction to John Williamson Nevin and the Mercersburg Theology. In Churchhistory.org. Brauer, Jerald C. 1978. “From Puritanism to Revivalism.” The Journal of Religion, Vol. 58, No. 3 (July), pp. 227-243. Brauer, Jerald C. 1976. 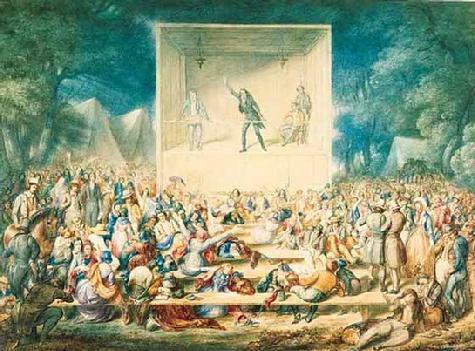 “Puritanism, Revivalism, and the American Revolution.” In Religion and the American Revolution. Jerald C. Brauer, ed. Philadelphia, Pennsylvania: Fortress Press. Brown, Raymond E. 1966. The Gospel According to John I-XII. The Anchor Bible. Volume 29. New York, NY: Double Day. Calvin, John. N.d. Commentary on John. Louth, Andrew. 2007. Greek East and Latin West: The Church, AD 681-1071. Crestwood, NY: St. Vladimir’s Seminary Press. McGrath, Alister E. 1986. Iustitia Dei: A history of the Christian doctrine of Justification. Vol. 1 – The Beginnings to the Reformation. Cambridge: Cambridge University Press. Morris, Leon. 1971. The Gospel According to John. The New International Commentary on the New Testament. Wm. B. Eerdmans Publishing Company. Presbyterian Church (USA). 2004. Book of Confessions. Louisville, KY: Office of the General Assembly PCUSA. 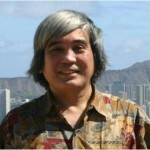 Robert Arakaki administers the Orthodox-Reformed Bridge, “a meeting place for Evangelicals, Reformed and Orthodox Christians.” He attends Saints Constantine and Helen Greek Orthodox Church in Honolulu, Hawaii. What Is Liturgy, and Why Do We Need It? In my pre-Orthodox life, I had always been told that people needed to be confronted with the Law first, and then the Gospel. How much better it is to see The Church as a hospital, a place to get well! Not all Evangelicals reject infant baptism though a majority reject baptismal regeneration. The Evangelical Covenant Church has paedobaptists and credobaptists. They reject baptismal regeneration. Methodists (the first “Evangelicals”) hold to both paedobaptism and baptismal regeneration as do many Evangelical Anglicans though they assert that baptismal regeneration is conditional. Evangelicalism is complicated nowadays as most Evangelicals simply just refer to essentials of what makes an Evangelical and Evangelical. Though the term really just means a proclamation of the good news, for Evangelicals, it really is a denomination of a denomination. Newenglandsun, I agree with your observation about Evangelicalism’s diversity. When I was with InterVarsity Christian Fellowship in my college and graduate studies days I met people from the United Methodist Church and the Evangelical Covenant Church, and other denominations. But we pretty much didn’t talk about the sacraments or the church. That’s how me maintained unity among college Christians. I believe that sound preaching of the word can bring about revival. Consistent preaching confronts the conscience (by the Holy Spirit) in a way that will either lead to revival or falling away. One who is not repenting will not tolerate a confrontation of his conscience week after week. In my personal experience, when you have good proclamation of the word, along with the glories of Holy Orthodoxy, it doesn’t get any better than that. Luke, I agree, solid preaching by the priest after the Gospel is read will allow the Holy Spirit to convict us of our sinfulness and prepare us to receive the Eucharist with faith and love. Solid biblical preaching will make Holy Tradition come alive for many Orthodox Christians. Thank you for all your writing. This article brings up a reality that exists in ALL religious circles… the fact that two people can be worshiping or studying in the same congregation, hearing the same message and scripture and one will learn and grow and one will claim they never got anything out of it, or didn’t really know Jesus. I have heard it and seen it over and over. When attending a WELS congregation their magazine had the same kind of thing in it. People saying they had been this or that denomination all their life but didn’t understand. What they were saying was being taught did not line up with what I knew was taught by those denominations at all. Sometimes it can be because of poor teaching, but many times it is simply personal. Sometimes we attend worship, go through the motions, get involved doing something , and are not fully engages and understand, because it is often our resistance to the Truth, our lack of repentance and giving up our self-centeredness. That being said, it is very important that our Orthodox Churches have sound teaching. Sometimes there are priests/pastors who are not trained right and do not set the example for the people. There is a great book about a monk who because the Bishop of an area of Greece, and how he transformed the spiritual life of the region. God bless us all with open hearts and spirits to the Gospel of our Lord. What we put into it is what we get out of it as well. Lord have mercy on me, a sinner. I must say that I am very, very grateful for the Antiochian Orthodox parish where I live, where our Priest is an excellent teacher (he is one of the Campus Crusade group who all came into Orthodoxy)and the people by and large are the most humble, loving people reflecting the love of Christ. We are leaving a Lutheran denomination once we found they believe in Predestination and see faith as a “work”. I have always believed as Orthodox do through my whole formation. I am glad for all my brothers and sisters in my formation in many Protestant liturgical/sacramental traditions, but the ability to finally live where their is Orthodox Christianity and come home is everything. My spiritual walk with the Trinity and further knowledge of scripture has exponentially increased! All of Orthodox worship is infused throughout with scripture; everything in the liturgy and in the hymns that are sung in worship. I have built my prayer rule and engage in prayer morning and evening every day, and then read scripture. I am amazed when I read a Psalm or passage and see how it is used in worship and then find new information from it that I had never seen. I have learned more humility, and control of the passions. I love that all the worship is focused on Christ, on the Eucharist. The deepness and reverence. No band, no slideshows and technical difficulties to worry about. Voices raised in a Capella song from scripture. It’s not about me, its about the Trinity and my Lord and Savior Christ. Lighting a candle in prayer, kissing an icon of my brothers and sisters, forefathers and mothers in Christ (the family portraits of the faith) are different, but not alien. After all, I hug and kiss my friends and family and their photos. We read stories of great people who inspire us. This is no different. The Ancient Faith has many depths to learn from and I am where I am to be, at the time I should be, and am grateful. I am never leaving. In relation to being baptized again, because I was baptized in a river at church camp when I was 13, have no certificate and do not know if it was done in the name of the Trinity, as Jesus told his apostles to do, I am going to be baptized as well as chrismated at Pascha this year 2018. My husband has his certificate of baptism from another liturgical/sacramental denomination and will be chrismated. I have no problem with being baptized again, once and for all. Indeed, it’s hard to say where exactly in this – at least, here – either Catholics or the Orthodox would disagree with Luther here. What he calls works would be those things which aid in our sanctification. Alcuin’s Bench, Thank you for sharing your historical insights about Thomas Meuntzer and Martin Luther’s response. Indeed, the Orthodox and Roman Catholics have much in common when it comes to the sacrament of baptism. This article has many areas of error, misrepresentation, and serious neglect. Rather than lambasting evangelical by building up strawmen and than blowing them over, try direct dialog as this is the adult way to interact with othe Christian traditions. … In terms of your treatment of the NT and early church life, you left out a major issue. The vest majority of those being baptized were adult converts, who were making their own choice to follow Jesus. It was not until after the leginzation of Christianly that infant baptism became the norm. Was this an improvement or evaluation or a step in the wrong direction? By baptizing those who have no choice in the matter, is something lost that the early church had and the radical reformers wanted to return to? … When looking at church history we must be willing to admit that change was not always for the best, as well as the good and bad points of our own tradition and other Christian traditions. … When I read Orhodox blogs like this, all I see is the desire to attact a weakly represented advisory, with no humility and ability to admit weakness in their own system. Maybe there are actually good things to learn from Evangelics, way to be positively challenged by those in other Christian traditions? … Although I am a Liturgical Lutheran, I love the evangelical just as much as I do the traditional Roman Cathoics, Coptic Orthodox, and Byzantine Orthodox. There is much to learn from and be challenged by in each of these traditions. Indeed, Brett. I agree that there is much to learn from the traditions. As I said before, I am Catholic myself, but as I have had to study Luther’s writings for the past semester and counting, I have come to appreciate him even though I don’t agree with him. It’s hard to even discount very radical individuals like Muentzer because, despite no matter how much I disagree with where thinking like his went, in itself a passionate social justice stood behind his writings. Whatever is good, and all that – as Paul said. However, I feel you have misread the author here. He has shown where the Apostolic Churches disagree with Evangelicals, but I do not believe he has done uncharitably or with straw men. While I agree there is much good, our traditions split for definite reasons, reasons that those instigators evidently felt worth fighting over, and so I think that to treat them with the greatest respect we must revisit the real differences rather than paper over them as if they didn’t know what they were talking about. Regarding a willingness to recognize errors within traditions, both the Catholic Church and the Orthodox Church hold a major distinction between traditions and, well, the Tradition – the Deposit passed down from the Apostles through the Scriptures, yes, as one mode of communication, but also through the teaching office of the Church. The important point is that the essence of this Tradition is unchanged. Not every Church Father nor every theologian is infallible, but the Tradition itself must persist. Otherwise, how would one recognize where the Church lay if not the succession? How to interpret Scripture? Or, what belongs in Scripture? Regarding infant baptism, I am skeptical this was something introduced merely after the rather oft-maligned date of Constantine’s conversion. Regarding Constantine himself, there is Peter Leithart’s book. Anyhow, the Church simply did not go dark after the Christianization of the Empire. Furthermore, Luther in ‘On the Babylonian Captivity of the Church’ accepts and even praises to the high heavens infant baptism. See, though, baptism is our recreation in Christ and the indwelling of the Spirit within the New Israel and the New Adam, the dying and rising of the spiritual man. It is, as Luther said (see above), the stake upon which we put our faith and through which our confidence comes in penance. But…it is not in itself the end of our theosis nor an infallible assurance of our salvation. Why not give children, by consent of the parents, the benefit of Baptism as it is necessary, under normal circumstances, for salvation, for regeneration? Children born to Americans are American citizens and then are admitted into the public education system to learn about citizenship. Similarly, Christians born to Christians learn within the Church how to be Christians. In Catholic theology, baptism is called the indelible mark on the soul – meaning, like circumcision, one cannot get rid of it. As a Jew, one will always be a Jew by virtue of circumcision – whether practicing or not, as a member of the Covenant. He and his nation was elected – not by human choice but by election. Similarly, baptism is that membership in the Covenant. This has less to do with a personal choice for Jesus per se – partially, again, because the living out of this Covenant is not a one-time event which decides salvation once and for all but a process of living, of sanctifying or cooperative works, if I dare say. Regarding the St. Dismas on the cross, well, at least the Catholic Church (where I speak from a point of knowledge) speaks of a baptism of desire and blood – that is, a sincere desire for the necessity of baptism, by which then God can confer grace by extraordinary means (Luther refers to this in the via moderna – what is called ‘divine acceptation’ by God’s compact with the sacramental system) or a martyrdom. I would imagine Enoch and Elijah would be the same way (cf. the Book of Enoch 3 wherein Enoch is given a special theosis through the operation of the Spirit and heavenly chrismation). That does not mean that, through the Churches, under God’s normal dispensation, the Spirit is not usually ordained to operate through the Sacraments. I would be curious as to what other cases you are referring to – for, as the author indicates above, it was normative that converts be baptized with water from the earliest times of the Church. I really do hope this helps. Brett Pavia, I benefited much from my time as a Protestant Evangelical. I owe much to Evangelicalism and don’t regret having been an Evangelical. I wrote this article because a Romanian friend of mine expressed concern about American Evangelicals coming to Romania telling them that they were not true Christians and that they needed to be baptized again. In light of your appreciation of other Christian traditions wouldn’t you say it’s wrong for Evangelicals to tell Orthodox Christians that they are not true Christians? And that their baptism was not genuine? I am also perplexed that you seem to be arguing against infant baptism when your Lutheran tradition supports infant baptism. Do you mean to say that no one is wrong and that everyone is right? If you were to clarify your position on baptism, that would be a big help in moving the discussion forward. … Also who was next to Christ on the cross? Was he baptism zed with water and will we see him in heaven? Are there other cases in the NT where we do not see or know for sure that converts were baptized? as a convert to Orthodoxy from Roman Catholicism I believe that not all are called to be Orthodox. for every Orthodox who leaves the Church there is a convert to take their place. better to be protestant than nothing at all. I think that Orthodoxy is a mature faith and some are in need of baby food. The Orthodox Church teaches that there is but one Church and that Orthodoxy is it. That means that all are indeed called to be Orthodox. And both the milk and the meat of the Gospel are available therein. I do agree that it is better to be a Christian of some kind than nothing at all, but Orthodoxy really is for everyone. I grew up southern baptist. I was warned that Orthodox worshiped icons and did not use or read the bible. I attended one Liturgy and found that, once again, I had been lied to by the baptist church. I haven’t looked back. When you are selling an inferior product, the lies are nessecary. Question for all: what do we make of Acts 1:4-5? It seems to me like this shows that “baptism with the Holy Spirit” can indeed mean a kind of special blessing and manifestation of the Holy Spirit who is poured out on the believer. If so, the case for “baptism of the Holy Spirit” ever meaning water baptism + anointing with chrism seems to be strongly undermined. The born again position on baptism being necessary for salvation is that it is in fact NOT necessary. And that Jesus never taught any such thing. It is just an outward show of something that has already taken place. A confirmation of the fact that we believe in Jesus’ death and resurrection. And that His death is our death, and His resurrection will be our resurrection also. In His teaching to Nicodemus Jesus speaks in vs.s 5 & 6 saying in vs. 5 that “Except a man be born of WATER and of the Spirit…” and in vs. 6 “That which is born of the FLESH is flesh, and that which is born of the Spirit is spirit.” In context Jesus is making synonymous the words water and flesh. Jesus was answering Nicodemus’ question “Can he enter the second time into his mother’s womb and be born?” His response was that since he had already been born once from his mother’s womb(water or flesh birth), he only needed to be born of the Spirit to be born again. This is confirmed by John the baptist when he says in Mt.3:11 that “I indeed baptize you with water unto repentance, But…He(Jesus) shall baptize you with the Holy Ghost and with fire.” “But” is a word that expresses contrast not sameness. John was saying that Jesus’ baptism was not like his. Jesus’ baptism is spiritual. John’s was not. As Peter says in 1stPeter 1:23 & 25, “Being born again…by the WORD of God…And this is the WORD which by the gospel is preached unto you.” And Paul in Romans 1:16, “For I am not ashamed of the GOSPEL, for IT is the power of God unto salvation to every one that BELIEVES…”. Not water baptism. Water baptism is a work. Works when mixed with faith makes faith void. Romans 4:14. Faith is a gift from God. Add to this Eph. 2:8,9; Rom. 10:9,10; and Titus 3:5,6 and you can see that works have nothing to do with a person attaining salvation. Water baptism is not even mentioned here in this context. The only reason someone would bring water baptism into it is that they have been told this in advance. Thus, creating in their thinking a prejudice toward water baptism being necessary for salvation. Therefore they read water baptism into the passage. Isogesis. Instead of allowing the passage to say what it says. Exegesis. …19You believe that God is one. Good for you! Even the demons believe that, and shudder! 20O foolish man, do you want evidence that faith without deeds is worthless? 21Was not our father Abraham justified by what he did when he offered his son Isaac on the altar 22You see that his faith was working with his actions, and his faith was perfected by what he did. 23And the Scripture was fulfilled that says, “Abraham believed God, and it was credited to him as righteousness,” and he was called a friend of God. 24As you can see, a man is justified by his deeds and not by faith alone. 25In the same way, was not even Rahab the prostitute justified by her actions when she welcomed the messengers and sent them off on another route? 26As the body without the spirit is dead, so faith without deeds is dead. Because baptism is a physical action does not make it a “work”. Just as a person being illumined with the truth, believing, accepting, repenting and coming to faith through free-will, entering into a relationship with Christ and the Holy Trinity is not a “work”, it is a grateful response to the grace and love of God. May the Lord bless you on your journey of faith. As an evangelical who is on th path to becoming an anglican (though still evangelical) I would disagree with both the eo position and other evangelicals. Baptism is a sacrament that conveys graces. It is God’s covenant sign and not the believers sign. It belongs to children and adults. Yet both hitler and stalin were baptized, so baptism does not solely make a ChristiAn. But to say conversely thAt baptism is not ordinarily necessary or not eventually necessary (when there is opportunity)for final salvation is unbiblical and Gnostic. baptism is God’s work not our work. Yet baptism does not serve the place of faith. Faith is there instrument of salvation. When it comes to regeneration, I am still exploring this in relationship to baptism. The connection is much more than sign and that which is signified and yet conversely not cause and effect (ipso facto). Let’s please both sides of the debate. Consider this view. In itself, water baptism does not save. However, baptism by water and by the Holy Spirit together generate the faith necessary for receiving God’s gracious salvation! Is anyone going to respond to edwitness in more detail, from the orthodox persuasion? Looking forward to it. The post itself actually does that pretty well. He’s mainly just expressing his disagreement without actually engaging with the post’s contents. One can make accusations of eisegesis all one wants, but his comments are predicated on acceptance of the interpretations of a certain subset of Protestantism that, as one may imagine, is not shared by people outside that subset. And some of what he says is just making stuff up, such as “Water baptism is a work. Works when mixed with faith makes faith void.” That’s not remotely said anywhere in Scripture. Does he really mean that, if you get baptized, you are making your faith void? Or worse, if you do any good work, you’re making faith void? That’s a level of antinomianism one rarely sees. That’s a level of antinomianism you rarely see because it isn’t antinomianism. It is a serious misunderstanding of the place of works in the life of a Christian, however. I don’t teach Romans without also teaching James. The two balance each other. Alas, too many Evangelicals of the Baptist persuasion don’t like, and avoid the book of James. James was written “to the 12 tribes scattered abroad”. You don’t honestly believe that every word or letter or book in the Bible was written to you personally or to Gentile believers, do you? Peter, for example, was designated an (NOT ‘The”) apostle to the CIRCUMCISION… PAUL who was specifically called and given the revelation of “a mystery hid in God from the beginning”, was the apostle to the Gentile (heathen). The stoning of Stephen, the conversion of Saul -> Paul and the destruction of the Temple in AD 70 are very significant, instructive ‘landmarks’. Take a fresh, prayerful walk through Ephesians 3, for starters. Rightly dividing (2 Tim. 2:15) is the opposite of “Wrongly adding” as you appear to be doing when pretending to create a non-existent balance between Romans ans James. All scripture speaks to us no matter what our starting point. Since they were written to specific groups at times, we do need to read across the whole of the new testament to receive the whole picture and not just focus on one idea without the context of all. Indeed many who think that our active responses to Christ’s command (feed the hunger, visit the sick, etc.) and our actions out of love are “works”. This is the fall out from the period of history in which in the Roman Catholic church encouraged indulgences and works to gain treasure in heaven. But actions done in faith out of gratitude and love of God because we are His servants are not “works”. Paul and James are not in opposition. Faith without works is truly dead. This equally true of the original poster is it not? It seems you are engaging in a genetic fallacy by claiming the origins, rather than the content, determine an arguments validity. I am not orthodox but had hoped to learn how an orthodox Christian would answer what seemed to me a legitimate challenge. In my church tradition, baptism is considered the normative occasion of justification, but not the cause of justification. Does this view differ substantially from baptismal regeneration as understood by the Orthodox? Amazing… that one can be so entranced by a “religious’ sentiment… unconverted… believing anything a charlatan in a robe, wearing incense perfume, and quoting ancient writings he has never laid eyes on, but has only seen published in ‘orthodox’ ‘books’… that one can believe in the religious “magic’ proffered by men who feel the need to call themselves ‘orthodox’, to justify what they know in their consciences (though seared through denial) is utterly ‘unorthodox’, carnal and useless. NON-salvific. NO… there is no “baptismal regeneration’… no mechanical ‘thing’ that one can do, or presume to have the ‘power’ to do… regarding salvation. I was “orthodox” for years… Roman “catholic” prior to that for many years. .. “protestant many years prior to that. Born again, “as the wind blows where it will’ (John 3) at age 20… 45 years ago. I know, experientially, what I am writing here. Judge not lest you be judged. I want to be sensitive to your personal journey, which may include some pain, but calling all Orthodox priests charlatans in robes, etc. is treading in the wrong direction. Are you Gnostic now, since you mention that worshipping with all the senses is carnal? I’m an Orthodox Christian, formally Catholic. What about Acts 8:36-7 that says that “you may be baptized if you believe”? Babies can’t believe. Protestants and “Bible-believing Christians” may point that out to prove that babies are not to baptized until they’re older. How does the Orthodox Church respond? If one understands faith in Christ as conscious, intellectual assent then the Protestant Evangelicals have a point. But believing in Christ or responding to God’s grace is much more than an intellectual response. Think about how John the Baptist leaped for joy when Mary who was pregnant with Jesus greeted Elizabeth (Luke 1:44). I believe that John who was only a few months old at the time was responding to the Son of God who was in Mary’s womb. Also, faith in Christ is more than a one-time experience, it is an ongoing trust in God — something more like faithfulness and loyalty. So infants may not be fully conscious of what is happening at their baptism but in baptism they are united with Christ. Baptism is not an empty, mechanical ritual. It requires a lively, personal faith and for that reason that is why Orthodoxy requires there be sponsors or godparents at their baptism. As they grow up we teach our godchildren to love to God and we expose them to the worship life of the Church and to the Scriptures. We model a life of prayer and obedience to God. The goal here is that they grow in the faith until the day comes when they make their own decision to be a follower of Christ. In closing, I would say that Protestant Evangelicals have too narrow an understanding of what faith is and how much God loves us.